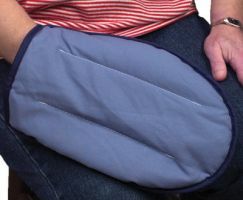 Ideal for most parts of the body including shoulders, knees and back. Ideal for treating smaller areas. 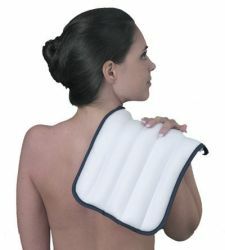 Ideal for upper and lower back and shoulder area. Easily covers large areas for maximum coverage. 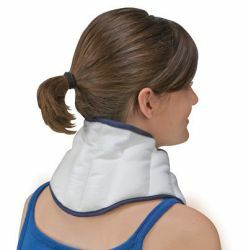 Specially contoured for the neck and shoulder area. Fully adjustable with hook and loop to help prevent slippage. 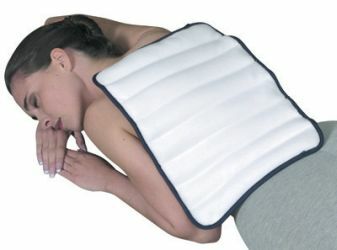 Helps relieve pain and stiffness. Fits left or right hand. 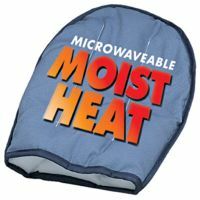 TheraBeads Microwavable Moist Heat Pack, Joint Pain Pad, 5"x12"
TheraBeads Microwavable Moist Heat Pack, King Size, 12"x16"
TheraBeads Microwavable Moist Heat Pack, Neck, 6.5"x22"
TheraBeads Microwavable Moist Heat Pack, Standard, 9"x12"
TheraBeads Professional Microwavable Moist Heat, Mitt, 8"x12"